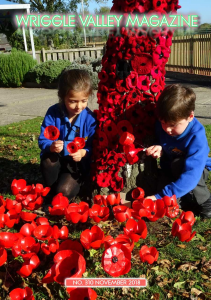 All SAST schools commemorated 100 years since the end of WWI. 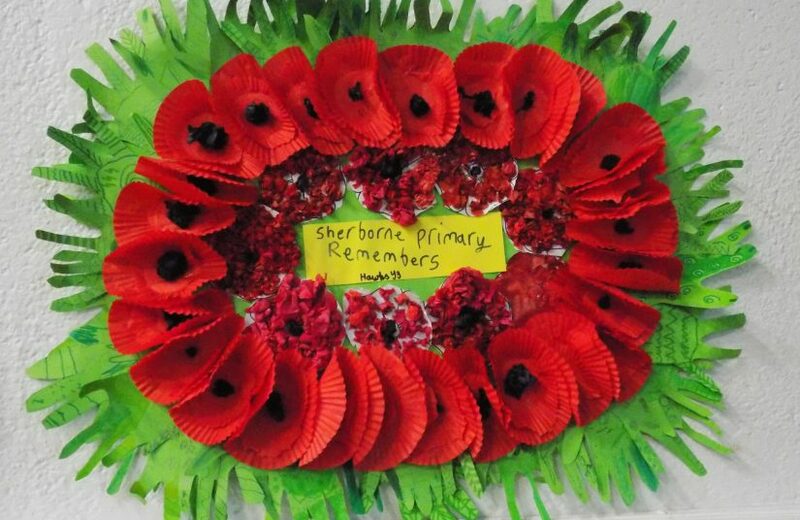 Sherborne Primary School held a service in their playground with representatives from the Army, Navy & RAF. 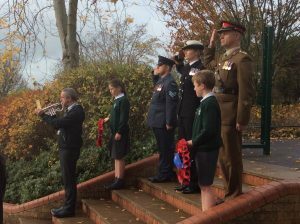 The whole school holding a minutes silence followed by Headteacher Ian Bartle playing The Last Post. The 3 service personnel then spoke to Year 6 children about being in the military. 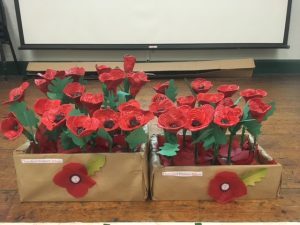 They also held a parents assembly with each class sharing something about Remembrance. 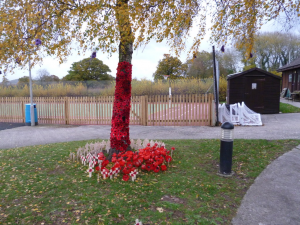 St Andrews CofE Primary School made a remembrance tree covered with knitted poppies. 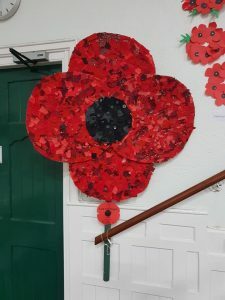 Members of our community were invited to knit or crochet poppies for the tree and we were inundated with poppies which covered the whole tree trunk. They were knitted by near-by residents, parents, grandparents, church members, staff and many more. Beneath the tree is a poppy field which is made of plastic poppies made by the children. They cut the bottoms from plastic bottles and painted them. These were then ‘planted’ in the ground using floristry wire. Finally, every child was given a wooden cross by the partner of one of our teaching assistants who currently serves in the military. Families were asked to provide the name of a family member/friend who served in WWI/WWII or other conflicts and these were then placed around the poppies. 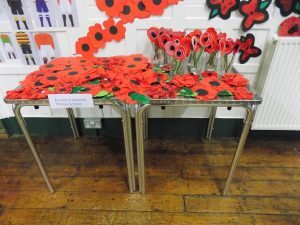 On Friday afternoon, parents came in to school for a remembrance service which was presented by our HLTA, Nathalie Hetherington and based on the family members of the staff who served in WW1 and WWII. It was very moving. 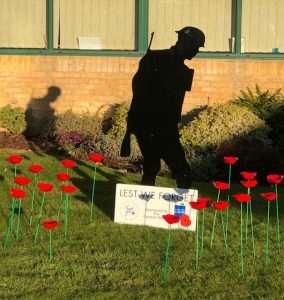 The Gryphon School unveiled a new memorial last week – the Silent Soldier figure is now standing proudly outside the front of the school to mark 100 years since the end of the First World War. 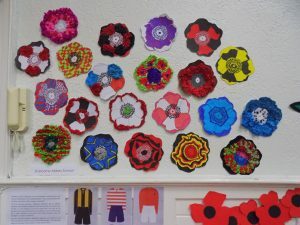 Surrounding it are 22 poppies made by the school’s Art & Design Department. Each poppy is dedicated to a student of Foster’s School who gave their life in WWI. Year 10 students have been researching the lives of the 22 young men and have created a display for an exhibition commemorating the end of the First World War which will be in Digby Hall on the evening of the 6th November and will then be displayed at the school. The Gryphon held a special Remembrance Service for staff and students with visiting speaker Major Richard Hall from the Army Royal Engineers, who is a former student. The school plans to give the poppies to descendants of those they are dedicated to. 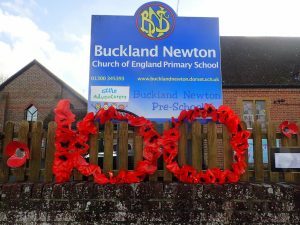 At Buckland Newton Primary School all the classes have been learning about WWI, the armistice and life at home. Some of the children have written some very moving poems. The older children have been researching those that died from the locality of Buckland Newton and some are from families known to us. Some of our art work was displayed on our school fence. 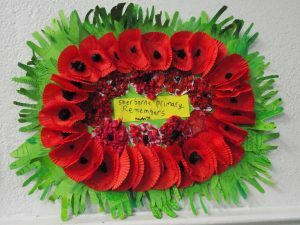 They held a Remembrance Service in school and during the 2 minutes silence all the children were completely silent. We have received a lot of lovely comments from passers by and the local community. 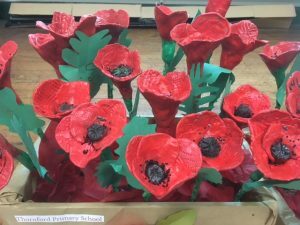 Our primary schools students created poppies that featured in a display at Digby Hall, and will then be moved to a display in The Sherborne Museum.